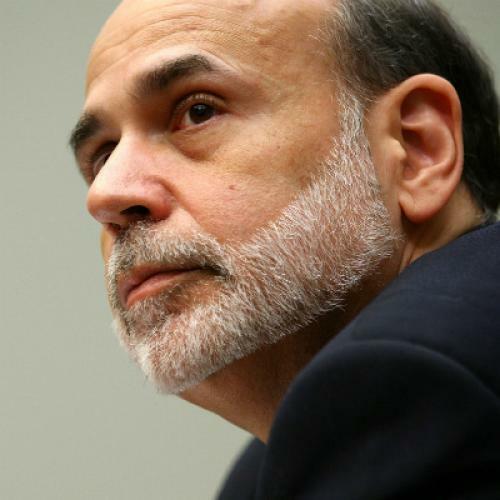 Why Is Ben Bernanke The Only Man in Washington Who Cares About Jobs? The softer side of the Fed. JARED BERNSTEIN, a Washington wonk and former economic adviser to Joe Biden, recently posed an interesting question. Why is it, Bernstein asked on his blog, that the only part of the government acting with any urgency to ease joblessness—the economic problem affecting the greatest number of Americans—is the unelected Federal Reserve? Bernstein was referring to Chairman Ben Bernanke’s announcement that the Fed would keep interest rates close to zero as long as unemployment remained above 6.5 percent. (It’s currently 7.7 percent.) Such a pledge is apparently unprecedented for the Fed, which like most banks is usually far less interested in boosting employment than in curbing inflation. But the Fed is also a regulatory body that makes economic policy affecting actual human beings. Now it’s finally acting like one. Human beings (i.e., voters) are more typically the bailiwick of Congress and the White House. Those are the institutions we would expect to be maximally responsive to unemployment, especially in an election year. Yet, while Mitt Romney said again and again that persistent joblessness reflected poorly on President Barack Obama’s first four years, neither candidate offered much in the way of solutions. Romney pretended unemployment could be magically reduced by shrinking the size and reach of government. Obama talked up his proposed American Jobs Act, but he could do that only so much, given his failure to move the bill past recalcitrant Republicans in Congress. And spotlighting the unacceptably high unemployment rate was hardly a winning strategy for the guy who’d presided over it. Now that the election has concluded, Obama is more interested in talking about unemployment, but Congress, puzzlingly, is not. Is the legislative branch less responsive to the people than it used to be? Quite the opposite. Over the last three decades, political parties have declined, reliance on polling has increased, congressional majorities have shrunk, and the money chase has become ever-more desperate. These trends all conspire to make Congress more responsive to outside influence than it was, for instance, during the 1960s. But those same three decades saw a steep rise in income inequality. The Princeton political scientist Martin Gilens has shown that as top earners’ shares of the nation’s income grew, so did their shares of politicians’ attention. And since involuntary unemployment is not something wealthy people typically fear, Congress gave the issue scant attention. That leaves the other half of Bernstein’s question: Why is the imperious Fed suddenly so interested in curbing unemployment? It’s worth remembering that, for most of its history, the Fed wasn’t a major economic policymaker at all. It was just a regulator of—and lender to—banks. Even during the Great Depression the Fed played a minimal role—fatally so, in the view of conservative economist Milton Friedman. Friedman believed that, if the Fed had printed enough money in 1929 and 1930, the whole unpleasantness would have been over by 1931. By the same logic, as inflation spiked in the mid-’60s and then spun wildly out of control in the ’70s, Friedman was able to persuade policymakers that the Fed could halt it by reducing the money supply. So the Fed got into the business of jacking up interest rates and tightening credit to keep wage and price increases in check. These experiments were at best marginally successful until 1982, when the Fed, led by Paul Volcker, twirled the monetary vise so tight that unemployment peaked at 10.8 percent, a level higher than any since World War II. In 1978, Congress formalized the Fed’s new role as macroeconomic poobah by giving it a dual mandate to curb inflation and maximize employment. But the Fed mostly ignored the employment part, especially after Volcker. Nobody wanted to relive the Great Inflation. Instead, the Fed favored tight money over tight labor markets. This policy accelerated the same growth in income inequality that turned Congress indifferent to unemployment. Indeed, University of Texas economist James K. Galbraith goes so far as to argue that the Fed is “primarily responsible” for the growth in income inequality. But except during the Volcker-induced recession of 1981–1982, there were few complaints. As Washington Post columnist Robert Samuelson argues in The Great Inflation and Its Aftermath, after 1982 the economy mostly expanded, creating jobs, raising living standards, and acting “as a social shock absorber.” That all came to a halt in the aughts, especially with the onset of the 2007–2009 recession. Since then, the economy has barely expanded and median income has declined. The shock absorber is gone. Not having given unemployment much thought before 2008, the Fed took several post-crash years to figure out that, with Congress abandoning the field, it could no longer keep thinking like a mere bank. It had to take seriously, for the first time, both parts of its dual mandate. “Imagine that inflation was running at five percent against our inflation objective of two,” Chicago Fed President Charles Evans said in a speech last year. “Is there a doubt that any central banker worth their salt would be reacting strongly to fight this high inflation rate?” Well, Evans said, the same goes for unemployment. That wouldn’t be a blazing insight to most people, but apparently it was to the Fed. The new Fed policy targeting unemployment is Evans’s brainchild. The bland official reason Bernanke gave for adopting the so-called “Evans Rule” was transparency. Previously, the Fed had said it would keep interest rates low through mid-2015, and that’s about when its projections indicate that unemployment will finally fall to 6.5 percent. “There is no real change in policy,” Bernanke said at a recent press conference. But he also spoke of his hometown of Dillon, South Carolina. Dillon has “a very high unemployment rate,” Bernanke said. “People are having a hard time there.” Remember when members of Congress talked like that? Bernanke is a scholar of the Great Depression, and in a 2002 speech celebrating Milton Friedman’s ninetieth birthday, Bernanke told Friedman he’d been right when he blamed the Depression on the Fed. “We did it,” he said. “We won’t do it again.” In a small but significant way, Bernanke is refocusing some attention on the Forgotten Man (and Woman). It’s long past time somebody did. Update, 12/23: Bernstein responds to this column here.